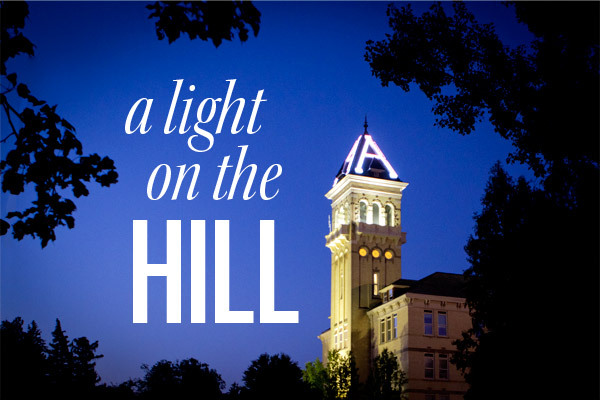 To mark the beginning of the academic year, our college (the College of Humanities and Social Sciences) is hosting a short & sweet “Light on the Hill” ceremony on the first evening of classes, Monday, August 29th. All students and faculty are welcome. 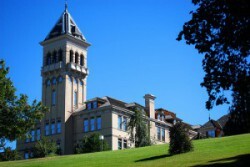 The ceremony will be in the amphitheater on Old Main Hill, 7:30-8:30. Light refreshments provided. This entry was posted in Uncategorized on August 23, 2011 by Huenemann.